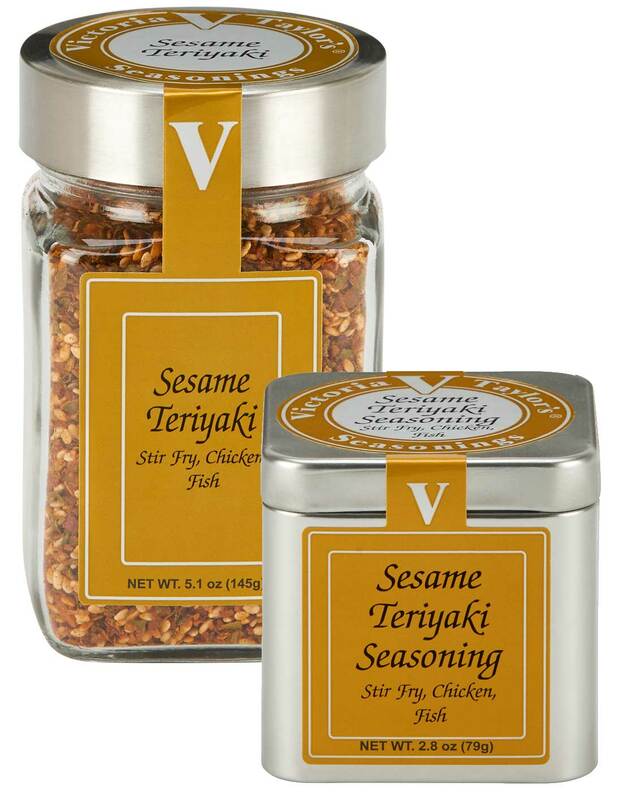 Enjoy the authentic, salty-sweet taste of our Sesame Teriyaki Seasoning. Great for stir-fry dishes featuring chicken, fish or vegetables, this blend features great depth of flavor with distinctive notes of soy, garlic, and sesame. Sesame seeds 35%, demerara sugar, garlic, mixed spices (including ginger, red pepper), dehydrated soy sauce, sea salt, green onion, paprika, sesame oil, garlic oil, and silicon dioxide added to prevent caking. Contains Soybeans and Wheat. No MSG*, and free of any peanut products. Contains Wheat, Soy. *Even though there is no added MSG in this product, it can still contain free glutamates.